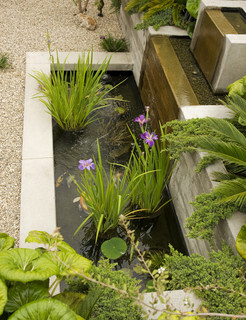 A small pond adds ambiance and aesthetic pleasure to a garden, courtyard, or atrium. This is especially true if it includes a waterfall. There is something about falling water that is tranquilizing. When I was traveling through Japan many years ago, I visited many traditional Japanese gardens. Having a background in landscaping, I found their design philosophy to be fascinating. I learned that Japanese gardens usually have these three basic elements: plants, water, and rocks. Their goal is to match the basic elements of nature. 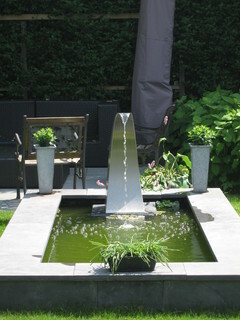 My landscape designs typically included plants, rocks, and lighting but not water. After I saw the Japanese gardens, I added water to my design palette. 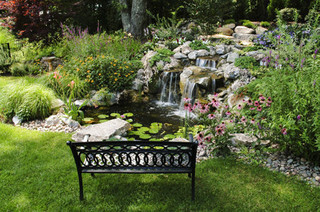 If you have a small garden or a small house and you want to carry the tiny theme into your yard, a small pond can do as much to create the atmosphere you want as a big one. 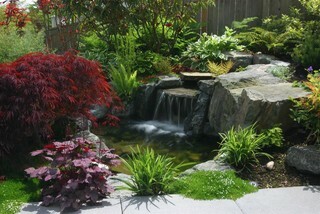 Choosing a small pond also saves you money in building and maintaining it. Small ponds are easy to love. Add some aquatic plants, fish, and lighting and they really become special. Small Water Fountains Add Punch! Your breakthrough awaits. Start transforming your life today!